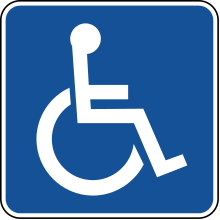 We are now a barrier free building, a place that can welcome those with mobility limitations. Sunday, April 14 2:30 PM Long walk (6.6 Km or about 90 mins) along Portland. Home Communions - If you or someone you know requires home communion please call the office and leave a message. Easter Memorial Flowers - Donations may be made from now until April 14th. Please ensure your name and donation amount is clearly marked on the outside of the envelope (available on table at the back of the church) with your loved one’s name. Light of the World Campaign - Let's fill our lighthouse with items that will help our community! You are invited to give up some small luxury item in your lift this Lent and to take the money you save and help our community. You may have a sweet tooth and decide to give up chocolate, or maybe you prefer salt and want to give up potato chips. Each week we will invite you to purchase and donate items to the East Dartmouth Christian Food Bank with the money you save from buying that item. Many small sacrifices will help create a great light in the darkness. "Let your light so shine before others that they may see your good works and glorify your Father in heaven.” This week we will be collecting coffee. St. Luke's Mother's Union meeting - Tuesday, April 16, 7:00 PM. Parish council meeting - Wednesday, April 17, 7:00 PM. Important News about the Anglican Journal and Diocesan Times - Your paper will stop being delivered after the June 2019 edition unless you take action! To remain on the mailing list you must complete a confirmation form by e-mail, mail, website or phone. Please see the front page of the March Diocesan Times for more information.